The standard in whitewater and performance-touring comfort. This kayak-outfitting essential seamlessly blends soft conforming foam with support and economy. The 6.5" tall x 17" long back band can be installed with either the post or grommet attachment options. 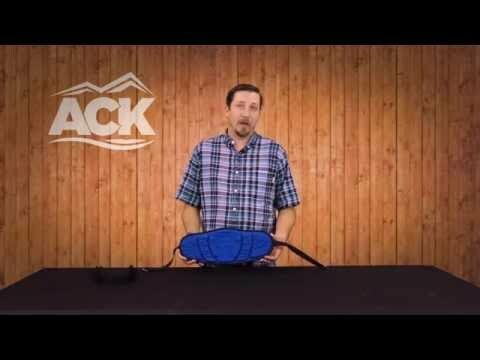 Comes with two sets of straps so you can anchor the straps to the seat posts or use the grommets straps to attach to your kayaks existing outfitting. You can easily adjust the tension in the straps with the cam buckle. Stupid easy install in an old Perception Sundance, very well made, great hardware. This thing is going to last! I had a hard time getting this to stay up and not slide down my back. I mounted it both low and high. It's also quite heavy for what it is. It seems very durable and the foam is of a high grade. I'm probably not going to keep using it because it does not stay in place with my setup.